The Apex shiplap sheds are constructed using pressure treated (Tanalith-E) timber to increase the service life of the structure. The walls are made from ex-19mm x 125mm shiplap cladding which has a generous 17mm lap to help minimise water ingress during prolonged dry weather spells. Each section is framed with ex-38mm x 50mm timber, which when assembled produces a robust shed. The door height is approx. 1.75m (5’ 8”), the external eaves height is approx. 1.96m (6ft 4 inch) and from ground level to the top of the Apex is approximately 2.13 metres (7’) This height calculation includes the width/height of 75mm posts to sit the shed on. Internal heights are 1.77m and 1.91metres. 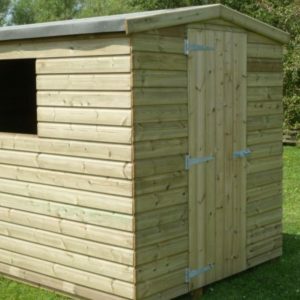 We carry these all sizes of Apex sheds for next day delivery from Ipplepen, but if stocks are low then lead time is approximately 14-21 days. 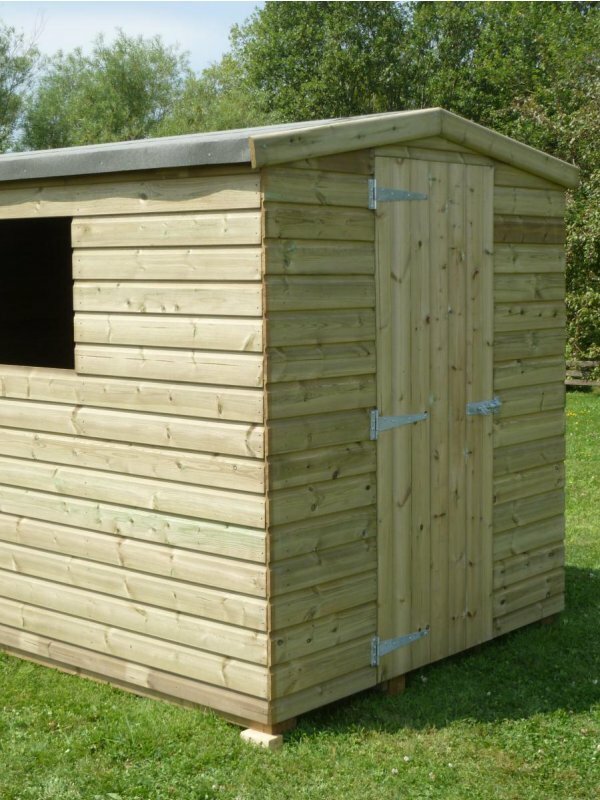 Each shed is delivered in sectional kit form and they are relatively easy to assemble. A concise set of assembly instructions is supplied with each shed. 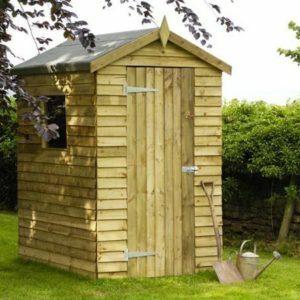 Where necessary we can supply details of tradesmen to erect your shed in most areas of South Devon; their fee will depend on the travelling time and amount of work involved. 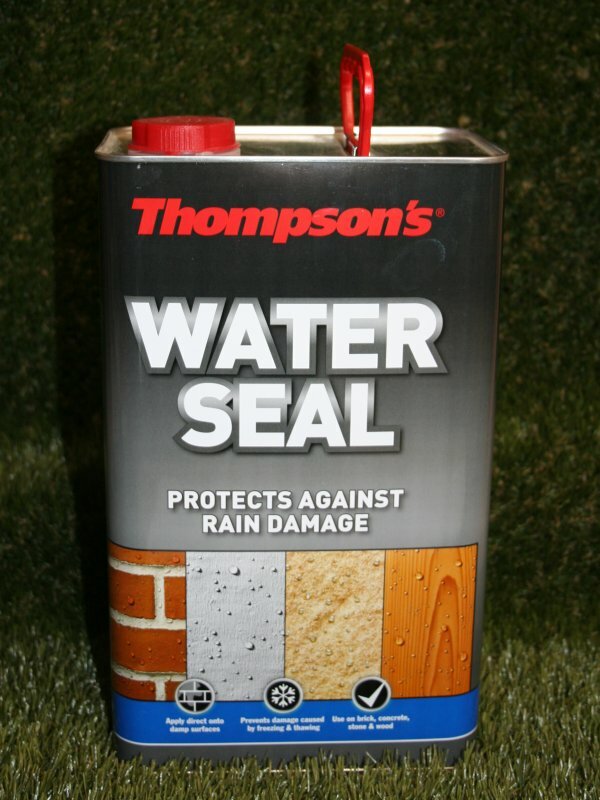 To maximise the life of your shed use a quality water repellent such as Thompson’s Water Seal on the shed timbers. Further details are attached to the inside of each and every shed door. 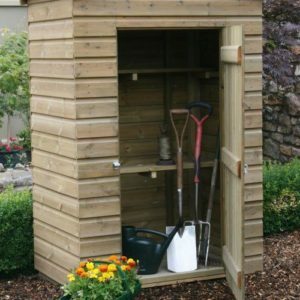 Also ensure your shed is positioned on timber post bearers as described below. 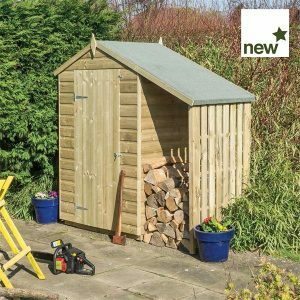 Our Premier Tanalised sheds feature roofs with a small overhang; this should enable the MiniFlo down pipe to run vertically down the shed side. 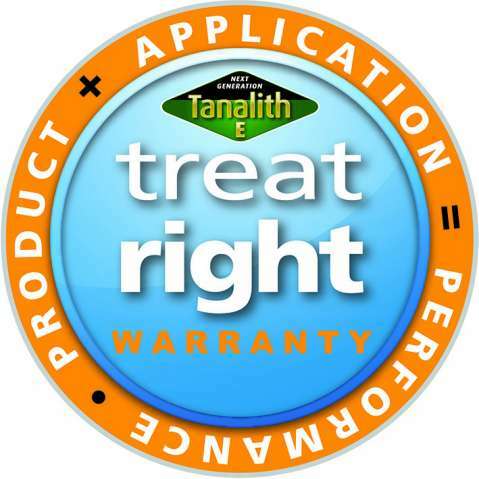 This is suitable for where the rainwater is running down to the ground through a down-pipe shoe to a suitable soak away.